Have you recently bought a new house? Is it time to move out of your old house or apartment? Have you figured out yet how you’re going to transport all your stuff from your old place to the new one? No need to worry about that. We offer a completely stress-free solution for you. Just take a look at our company. We offer man and van services, which means we ensure safety transport of fragile items and furniture. 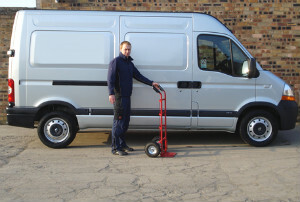 Whether you have to move loads of stuff or just a few bulky items, use our man and van services. We come in big vehicles capable of holding lots of stuff. We collect your belongings and load them in our trucks. Then we move them from A to B while making sure we break nothing. You can trust us to move valuable items because we are very careful and responsible, and most of all we are professionals. Our technicians know what the are doing. They can pack and unpack your stuff if you want them to, then place it exactly where you want at no additional charge. What’s more, we have a variety of vehicles which we combine to suit different requirements. So don’t worry about your stuff, there is place for all of your items in our vans. If you don’t want to deal with packing, we can do it for you. We will come the day before moving to pack all the stuff. We promise to be fast and very careful with your items. Our employees are experienced in this field and they know how to safely handle your belongings without breaking anything. We offer special packaging for fragile or valuable items such as antiques and paintings. You decide whether we unload your stuff at your door or inside. We are flexible and can adapt quickly to any situation and change of plans. More about our service you can learn when you give us a call. Our assistants can answer every question, as they are trained and qualified. We know that you probably have lots of things in mind, so feel free to discuss with us your requests. We can cover all of them in a hassle-free and quick manner. If you have any doubts or enquiries, please don’t hesitate to get in touch with us.